A full line of enclosures, racks, and accessories. 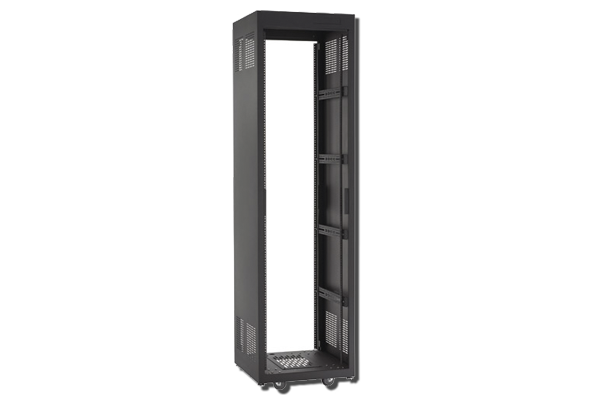 28U tall, 28″ deep E1 Series rack is built with welded steel construction, extra space on the bottom of the rack for easily mounting small components and two removable 3U blanks on top for ventilation options. 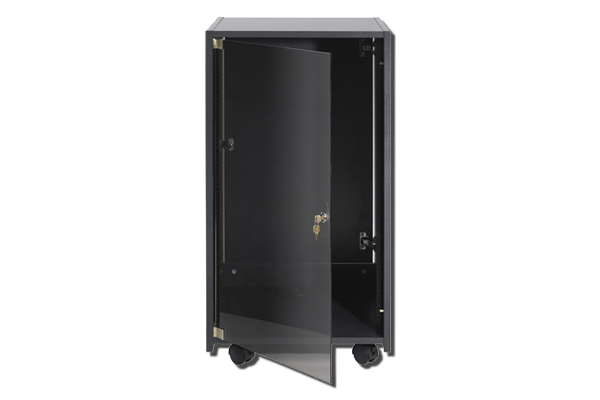 An ingenious system that eliminates the need to remove equipment from the rack for maintenance and configuration by allowing you to pull out the entire rack from the cabinet and swivel it to gain full access to equipment. 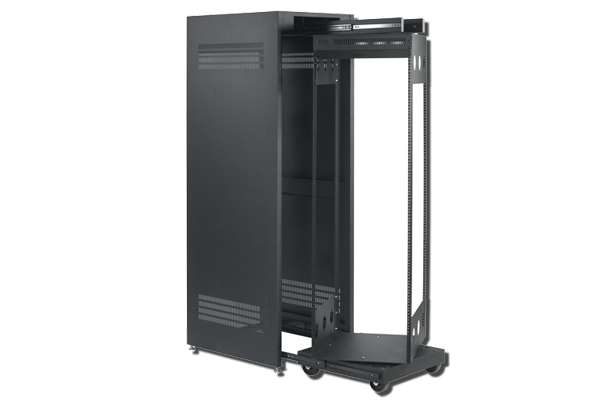 42U rack height with cabinet to enclose the rack. For more information and news, please visit the Chief website.